Cassandra Clare is probably smiling from ear to ear right now. Just a few months ago we've witnessed the movie adaptation of her first The Mortal Instruments novel subtitled City of Bones. Fast forward to now and we finally have the official look of the final and sixth book on the series entitled City of Heavenly Fire. Though it does not really give away much, the new cover, which was unveiled at The Insider, still follows the format of the previous covers with the characters floating and/or superimposed against a backdrop of a cityscape, which is surely the city of heavenly fire. 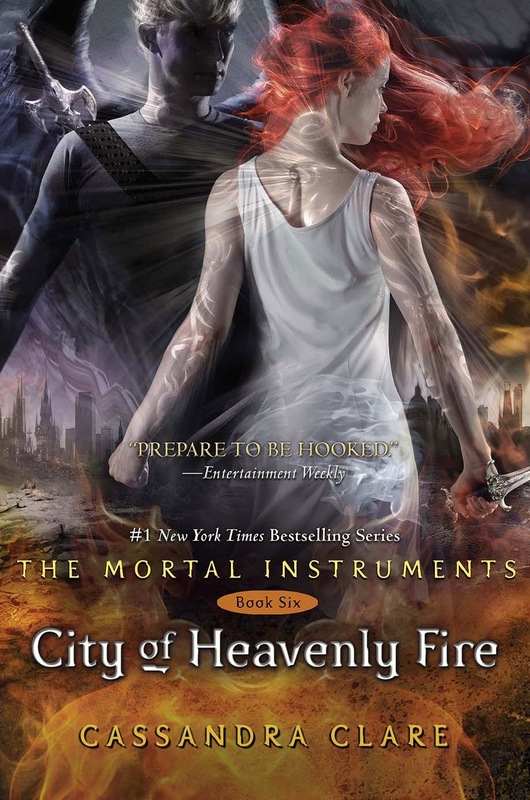 What's your thoughts on this fantastic cover of City of Heavenly Fire by Cassandra Clare? Shadowhunters and demons square off for the final showdown in the spellbinding, seductive conclusion to the #1 New York Times bestselling Mortal Instruments series. The Mortal Instruments: City of Heavenly Fire by Cassandra Clare will seal the fate of mankind on May 27, 2014.